The Wine & Viticulture Journal was born following the incorporation of Australian Viticulture into the Wine Industry Journal in 2011. Our commitment is to produce a well-balanced, well-researched industry journal dedicated to the business of producing quality grapes and innovative winemaking, and to deliver it to a targeted audience, achieving maximum exposure for the advertisers. 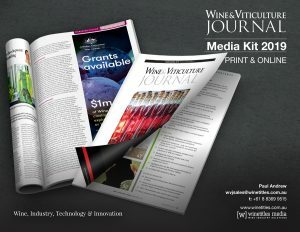 The Wine & Viticulture Journal and its predecessor, the Wine Industry Journal, has had a loyal readership for more than 30 years nationally and overseas and its proven success is measured by the loyalty that the publication has established with long standing subscribers and advertisers.